Submitted by mark on Sunday, March 18th, 2018 at 3:33 pm. Northland and Otago are the two Landmarks Whenua Tohunga that have been launched thus far. The Ministry of Culture and Heritage (MCH) has the following explanation and details on its website. 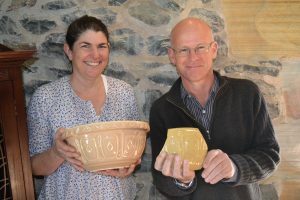 "Landmarks Whenua Tohunga promotes New Zealand's unique culture and connects visitors to our stories and places. Submitted by mark on Monday, March 12th, 2018 at 5:39 pm. Auckland’s Own Art Deco Day Out will make a grand entrance once again at Highwic on 8 April (1pm to 6pm). 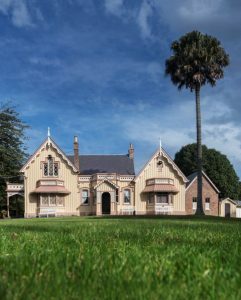 The 150-year-old mansion in Newmarket, which is cared for by Heritage New Zealand, will throw open its gates for the annual festival of all things Deco including live jazz performed at the Cup Cake Café on-site, and a sparkling array of classic cars from the days of flappers and swingers. Refreshing G&Ts will also be on sale for the day at Hendrick’s Gin Bar, and a range of stalls selling quality vintage products will also be operating within Highwic’s grounds. If that isn’t enough, Highwic’s shop will also be selling its range of Victorian style vintage greeting cards, games, books, crafts and more. The hotly contested Glory Days Costume Competition will be held once again. The contest is free to enter and fabulous prizes from Minnie Cooper, Glory Days, Hendrick's Gin and Highwic will be awarded to the Best Dressed Lady, Gent and Child. The team from Gin Mill Swing will also host a free dance class early on so people can learn some fancy moves before dancing the afternoon away to live jazz from the New Orleans Joymakers. The wonderful world of Art Deco provides the ultimate in feel-good nostalgia, says Highwic Property Lead Cheryl Laurie. “The $5 admission fee is also great value, enabling people to look around Highwic – though it will pay to bring some extra cash to enjoy some of the other attractions we’ll have on-site,” she says. Don’t miss Auckland’s Own ). Admission: $5 per adult; children free. Refreshments not included in admission. Submitted by mark on Monday, March 12th, 2018 at 3:31 pm. Pam Wilson began work for the New Zealand Historic Places Trust (NZHPT, now Heritage New Zealand) after being on the branch committee for some years in the early 1980s. She worked on the Women’s/Promotions Committee, focusing on advocacy for heritage conservation, raising money to help with projects and elevating the profile of the organisation generally, including gaining more members. In January 1989 Pam began work as the NZHPT Regional Officer for Canterbury, based first in a tiny office in what was then the Peterborough Centre, administered by the Arts Centre. The office moved for a short time into the Cranmer Centre and then to the former Canterbury Provincial Council Buildings. 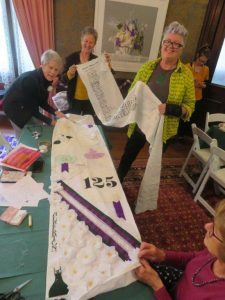 Gradually other staff joined Pam and, with her leadership, the team made huge strides in the recognition and protection of a wealth of historic places throughout Canterbury and the West Coast. Pam was instrumental in saving many historic places in Canterbury and the West Coast, including the Nurses' Memorial Chapel and the Edmunds Factory Gardens. She sat on many trusts, including the Riccarton House and Bush Trust and the Ngaio Marsh House and Heritage Trust, and was on 'cup of tea and biscuit' status with all of the Category 1 owners of Canterbury's large homesteads. She was also a very astute negotiator and would front to developers and tell them how important historic places were. By the time of her retirement in 2007, Pam’s office had been in the NZHPT offices in Gough House on Hereford Street. Practically every file we open in the Christchurch office has her handwriting or other mark of her involvement, and even after she officially retired, she helped with work on research and registrations, such as the Kate Sheppard House in Ilam. Like the rest of us, she was devastated about the loss of so much heritage in the Canterbury quakes of 2010 and 2011, but rejoiced in what has been able to be saved. 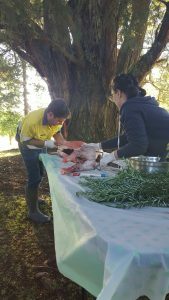 Pam was an absolute legend and her deep knowledge, kind and gentle manner, curiosity and dedication is widely recognised, both within Heritage New Zealand and in the wider community. 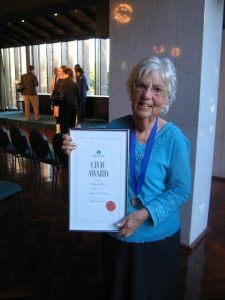 In 2007 she received two distinguished awards – the Christchurch City Council’s Civic Award and the New Zealand Order of Merit for services to heritage conservation. Historic Places Canterbury was saddened to learn of Pam Wilson's passing. Robyn Burgess and Heritage New Zealand has generously given us permission to post the Tribute to Pam Wilson that appeared in Heritage This Month March 2018.